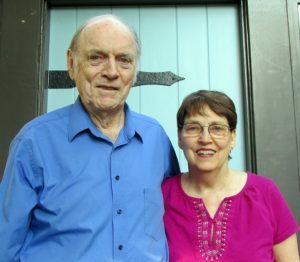 For years, Bob and Arlene Harder provided funding to several large national organizations. However, they were concerned their donations were not making a meaningful impact in the lives of people who most needed help. Arlene spoke with her attorney, Karl Swaidan at Hahn and Hahn, who suggested that the Pasadena Community Foundation could help meet her need to make a local impact. Arlene did some investigating and found the Foundation really understood the needs of the local community, and was a strong supporter of a number vibrant nonprofits in Pasadena. In early 2015, she set up the Bob and Arlene Harder Endowment Fund through the Pasadena Community Foundation. The fund will be used to support local nonprofits and make a genuine difference in the lives of people in the Pasadena community for years to come.